We are guided by our ethics, our focus on safety and our willingness to stand for what is right. We invest in people and value diversity and inclusion because it elevates performance and helps us partner responsibly. We are forward thinkers who innovate and collaborate with stakeholders to make a positive difference. The word “purpose” is derived from the Latin “pro,” meaning “forth.” At Sempra, purpose informs our approach to making a positive impact. At Sempra Energy, we are always looking for new and better ways to serve our customers. It drives our employees’ sense of purpose every day. We know that improving the lives of those we serve also helps make our company even more valuable for all our stakeholders. Sempra’s vision reflects this commitment: delivering energy with purpose. 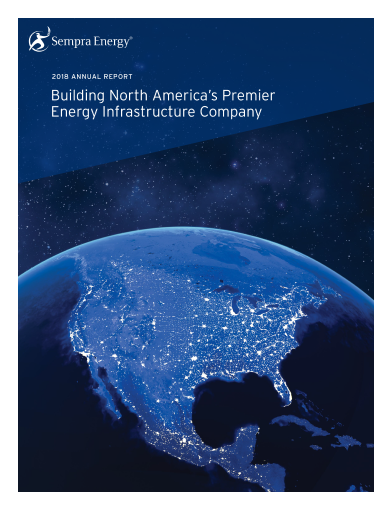 I am very proud of the progress we made in 2018 to advance our strategic mission to become North America’s premier energy infrastructure company. Through our focus on People | Priorities | Culture, we charted an exciting new path to grow stronger, more profitable and more purpose driven. We honed our geographic focus to the most attractive markets in North America, strengthening our leadership positions in three of the top 15 economies in the world: California, Texas and Mexico. We narrowed our focus within the energy value chain to electric and natural gas infrastructure where we believe there is an optimal risk/reward profile for our owners. Finally, we positioned our business to better serve important markets. By investing in North America’s liquefied natural gas (LNG) infrastructure, we are poised to unlock cleaner and more reliable energy for tens of millions of consumers in Europe, Asia and the Middle East. This is just the beginning. Today, we are more focused, more disciplined and well-positioned for growth and improved profitability. 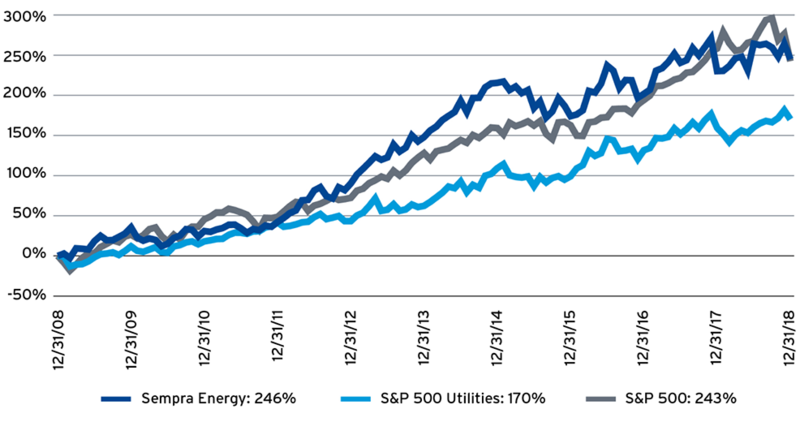 Our California utilities are performing well. They continue to be recognized for excellence in customer service, safety, reliability and clean energy. Last year, San Diego Gas & Electric (SDG&E) won an award for best electric reliability in America, and received the coveted Edison Award for its investments in grid resiliency and the reduction of climate-related vulnerabilities, like wildfires. Southern California Gas Company (SoCalGas) also continues to be a national leader in customer service and is delivering on its promise of operational excellence — modernizing more than 400 miles of the largest gas distribution and transmission network in the U.S. in 2018. Last year, we completed the most ambitious transaction in our history, acquiring a majority stake in the largest investor-owned utility in Texas, Oncor Electric Delivery Company LLC (Oncor). This transaction significantly expanded our electric infrastructure business in a growing market — Texas is the second-largest economy in the U.S. We also believe there is a remarkable opportunity for Oncor to continue to invest in critical infrastructure to meet the growing electricity needs of its customers. Our subsidiary, IEnova — one of the largest private energy companies in Mexico — has a strong set of investment opportunities. IEnova continues to make significant progress in the midstream and refined fuels markets to help Mexico diversify its energy supply. We also have made significant progress in becoming a leader in LNG export infrastructure in North America. We began the commissioning process on our Cameron LNG joint-venture project in Louisiana and expect to ship the first LNG cargos in mid-2019. In addition to Cameron LNG, we are executing on four other development projects with a goal of building up to 45 million tonnes per annum of LNG export capacity to serve global markets — this is more than the average daily consumption of California, the fifth-largest economy in the world. These projects aim to improve the energy security and carbon footprint of our allies, while supporting U.S. producers of natural gas. We also executed several strategic asset sales to focus our investment strategy on the most attractive markets in North America and strengthen our balance sheet. The sales of our U.S. non-utility solar, wind and natural gas storage assets are expected to generate approximately $2.5 billion in proceeds. In early 2019, we also announced our decision to sell our South American businesses, including Luz del Sur S.A.A. in Peru and Chilquinta Energía S.A. in Chile. Building a high-performing culture begins and ends with unlocking the full potential of our more than 20,000 diverse and talented employees. That is why on my first day as CEO last spring, I announced my focus on People | Priorities | Culture. The goal of this initiative is to reinvest in our employees, lay out a clear vision for the future and align our companies to be even stronger and more focused. To support this initiative, our senior leadership team embarked on a Listening Tour, visiting all four corners of Sempra’s family of companies to engage our employees in a conversation about how we can make our company better and more purpose driven. Our employees’ commitment to our shared values is critical. Doing the right thing, championing people and shaping the future represent our core values. The growth opportunities ahead of us are exciting. So is our ability to make a positive impact. We are charting our own path as we aspire to become North America’s premier energy infrastructure company — delivering energy with purpose. Sempra Energy’s strategic mission is to be North America’s premier energy infrastructure company, and there’s no place bigger than Texas when it comes to energy. Texas leads the nation in energy production as the number one producer of oil, natural gas and gasoline. But Texas is more than just an oil and gas state. Texas both produces and consumes more electricity than any other state, and has almost 25,000 megawatts of wind energy capacity. Last year, Sempra Energy made a bold move through the acquisition of an approximate 80-percent majority interest in Oncor, Texas’ largest utility that serves approximately 10 million Texans. Oncor plays a key role in connecting the more than 1,000 new Texans added to the state every day to safe, reliable, affordable power. The Dallas-Ft. Worth Metroplex is one of the fastest-growing metropolitan areas in the country, and booming oil and gas production in the Permian Basin in West Texas will require substantial new electrical infrastructure over the coming decade. This is creating a big opportunity for Sempra Energy. The company is continuing to grow in Texas through Oncor’s planned acquisition of InfraREIT, Inc. — a transmission company that overlaps and is adjacent to Oncor’s existing transmission footprint — solidifying Oncor’s role in connecting the next generation of renewable energy generation to Texas customers at the lowest rates of any investor-owned utility in Texas. Whether it’s connecting new wind, solar and storage to the Texas grid, or building out infrastructure to serve a booming Texas economy, Sempra Energy’s opportunities to continue to grow in Texas are only just beginning. Across the world, a number of countries are turning to natural gas to reduce the harmful emissions associated with coal. This is creating a unique energy moment to export LNG, delivering cleaner and more affordable energy, while creating jobs, reducing the trade deficit and improving the energy security of the world. Sempra Energy, through its subsidiary SoCalGas, has been in the business of serving natural gas customers for more than 150 years and that history — understanding the need to serve customers, seasonality and other market pressures — helps to position Sempra to be a leader in North America’s LNG export market. Sempra Energy’s goal is to develop 45 million tonnes per annum of clean LNG export capacity and deliver it to the largest world markets through five strategically located projects in Louisiana, Texas and Mexico, which offer flexibility and scalability to meet current and future global LNG demand. In mid-2019, Cameron LNG is expected to deliver its first cargos, representing a significant milestone for the company. Sempra Energy prides itself on doing the right thing for its stakeholders. The company is committed to environmental responsibility and strong relationships in the communities it serves — guided by ethics, a focus on safety and standing up for what is right. In 2018, Sempra Energy employees volunteered more than 80,000 hours in the communities where they work and live. Employees from SoCalGas rose to the opportunity to fight against homelessness, fundraising with the United Way and taking the time to make “Welcome Home” kits for people transitioning out of homelessness. Oncor, the largest electric utility in Texas, was once again a major participant in the Dallas Heart Walk, in support of the American Heart Association. Team Oncor was the largest Heart Walk team in the nation in 2018, with approximately 4,000 employees, family members and friends! In Mexico, IEnova is helping its community rebuild after devastating earthquakes in 2017. The company donated food and supplies to victims, and helped rebuild two public elementary schools in the state of Puebla. Sempra Energy’s commitment to community extends to its focus on safety. This year was one of the safest on-record for all of the Sempra Energy family of companies. SDG&E’s work to protect the communities it serves earned the company Edison Electric Institute’s nationally respected Edison Award, a testament to SDG&E’s efforts with their robust fire-mitigation program which helps to enhance grid resiliency and reduce climate-related vulnerabilities. Sempra Energy’s mission is to be North America’s premier energy infrastructure company. With 2018 revenues of more than $11.6 billion, the San Diego-based company is the utility holding company with the largest U.S. customer base. The Sempra Energy® companies’ more than 20,000 employees are focused on delivering energy with purpose to approximately 40 million consumers worldwide. Sempra Energy has been consistently recognized for its leadership in diversity and inclusion, social responsibility and investment value. Sempra LNG & Midstream develops, builds and invests in liquefied natural gas facilities and midstream natural gas infrastructure in North America. SoCalGas is the largest natural gas distribution utility in the U.S., providing safe, reliable and increasingly renewable natural gas service to approximately 21.9 million consumers. SDG&E is an electric and natural gas utility that provides clean, safe and reliable energy to approximately 3.7 million consumers in San Diego and southern Orange Counties. Oncor, based in Dallas, operates the largest distribution and transmission system in the state, providing safe and reliable service to approximately 10 million Texans. Chilquinta Energía in Chile and Luz del Sur in Peru invest in electric generation and transmission to provide service to approximately 6.7 million consumers. * Sempra Energy indirectly owns approximately 80 percent of Oncor. ** Sempra Energy launched a formal sale process in January 2019 to sell its equity interests in the South American Utilities and expects to complete the sale process by the end of 2019. 1 Sempra Energy adjusted earnings and adjusted diluted earnings per common share are non-GAAP financial measures (GAAP represents accounting principles generally accepted in the United States of America). For an explanation and reconciliation of these non-GAAP financial measures to Sempra Energy earnings and diluted earnings per common share, the most directly comparable financial measures calculated in accordance with GAAP, please see "Management's Discussion and Analysis of Financial Condition and Results of Operations — Results of Operations — Adjusted Earnings and Adjusted EPS" in the "Sempra Energy 2018 Form 10-K" included herein. 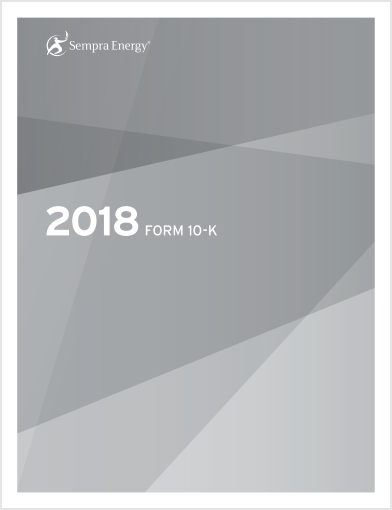 Sempra Energy’s Annual Report on Form 10-K filed with the Securities and Exchange Commission is available to shareholders at no charge by writing to Shareholder Services. This information, as well as our corporate governance guidelines, Board of Directors and Senior Officer Code of Conduct and standing board committee charters, are also available on the company’s website at Sempra.com. Sempra Energy offers a Direct Common Stock Investment Plan as a simple, convenient and affordable way to invest in the company. Cash dividends from a participant’s account can be reinvested automatically in full or in part (but not less than 10 percent of each dividend) to purchase additional shares, or participants may choose to receive all or a portion of their cash dividends electronically or by check. Participation in the plan requires an initial investment of as little as $500. The plan allows additional cash investments of a minimum of $25 up to a maximum of $150,000 per calendar year. Brokerage commissions incurred in the purchase of shares will be paid by Sempra Energy. 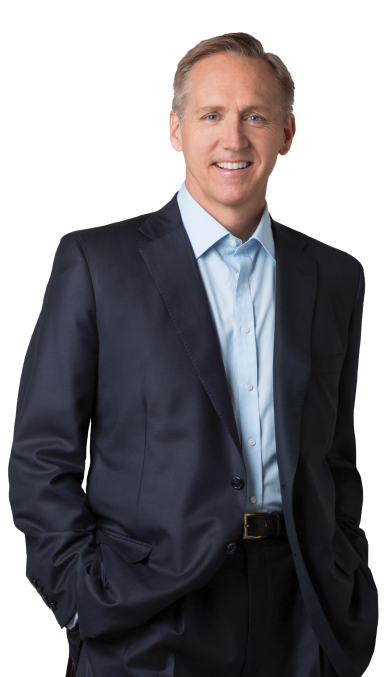 The plan is offered only by the means of a prospectus, which can be obtained by calling the plan administrator, American Stock Transfer & Trust Company, LLC, at 877‑773‑6772, or through the Internet at www.astfinancial.com. Sempra Energy’s Annual Report on Form 10-K filed with the Securities and Exchange Commission, which includes as exhibits the certifications filed by Sempra Energy’s chief executive officer and chief financial officer under the Sarbanes-Oxley Act of 2002, is available to shareholders at no charge by writing to the company’s Shareholder Services Department. We make statements in this report that are not historical fact and constitute forward-looking statements within the meaning of the Private Securities Litigation Reform Act of 1995. Forward-looking statements are based on assumptions with respect to the future, involve risks and uncertainties, and are not guarantees of performance. Future results may differ materially from those expressed in the forward-looking statements. These forward-looking statements represent our estimates and assumptions only as of the filing date of our 2018 Annual Report on Form 10-K. We assume no obligation to update or revise any forward-looking statement as a result of new information, future events or other factors. In this report, when we use words such as “believes,” “expects,” “anticipates,” “plans,” “estimates,” “projects,” “forecasts,” “contemplates,” “assumes,” “depends,” “should,” “could,” “would,” “will,” “confident,” “may,” “can,” “potential,” “possible,” “proposed,” “target,” “pursue,” “outlook,” “maintain,” or similar expressions, or when we discuss our guidance, strategy, plans, goals, vision, opportunities, projections, initiatives, objectives or intentions, we are making forward-looking statements. Factors, among others, that could cause our actual results and future actions to differ materially from those described in any forward-looking statements include risks and uncertainties relating to: the greater degree and prevalence of wildfires in California in recent years and the risk that we may be found liable for damages regardless of fault, such as where inverse condemnation applies, and risk that we may not be able to recover any such costs in rates from customers in California; actions and the timing of actions, including decisions, new regulations and issuances of authorizations by the California Public Utilities Commission, U.S. Department of Energy, California Department of Conservation’s Division of Oil, Gas, and Geothermal Resources, Los Angeles County Department of Public Health, U.S. Environmental Protection Agency, Federal Energy Regulatory Commission, Pipeline and Hazardous Materials Safety Administration, Public Utility Commission of Texas, states, cities and counties, and other regulatory and governmental bodies in the U.S. and other countries in which we operate; actions by credit rating agencies to downgrade our credit ratings or those of our subsidiaries or to place those ratings on negative outlook and our ability to borrow at favorable interest rates; the success of business development efforts, construction projects, major acquisitions, divestitures and internal structural changes, including risks in (i) obtaining or maintaining authorizations; (ii) completing construction projects on schedule and budget; (iii) obtaining the consent of partners; (iv) counterparties’ ability to fulfill contractual commitments; (v) winning competitively bid infrastructure projects; (vi) disruption caused by the announcement of contemplated acquisitions and/or divestitures or internal structural changes; (vii) the ability to complete contemplated acquisitions and/or divestitures; and (viii) the ability to realize anticipated benefits from any of these efforts once completed; the resolution of civil and criminal litigation and regulatory investigations and proceedings; deviations from regulatory precedent or practice that result in a reallocation of benefits or burdens among shareholders and ratepayers; denial of approvals of proposed settlements; delays in, or denial of, regulatory agency authorizations to recover costs in rates from customers or regulatory agency approval for projects required to enhance safety and reliability; and moves to reduce or eliminate reliance on natural gas; the availability of electric power and natural gas and natural gas storage capacity, including disruptions caused by failures in the transmission grid, limitations on the withdrawal or injection of natural gas from or into storage facilities, and equipment failures; risks posed by actions of third parties who control the operations of our investments; weather conditions, natural disasters, accidents, equipment failures, computer system outages, explosions, terrorist attacks and other events that disrupt our operations, damage our facilities and systems, cause the release of harmful materials, cause fires and subject us to third-party liability for property damage or personal injuries, fines and penalties, some of which may not be covered by insurance (including costs in excess of applicable policy limits), may be disputed by insurers or may otherwise not be recoverable through regulatory mechanisms or may impact our ability to obtain satisfactory levels of affordable insurance; cybersecurity threats to the energy grid, storage and pipeline infrastructure, the information and systems used to operate our businesses and the confidentiality of our proprietary information and the personal information of our customers and employees; actions of activist shareholders, which could impact the market price of our securities and disrupt our operations as a result of, among other things, requiring significant time by management and our board of directors; changes in capital markets, energy markets and economic conditions, including the availability of credit; and volatility in currency exchange, interest and inflation rates and commodity prices and our ability to effectively hedge the risk of such volatility; the impact of recent federal tax reform and our ability to mitigate adverse impacts; changes in foreign and domestic trade policies and laws, including border tariffs and revisions to or replacement of international trade agreements, such as the North American Free Trade Agreement, that may increase our costs or impair our ability to resolve trade disputes; expropriation of assets by foreign governments and title and other property disputes; the impact at San Diego Gas & Electric Company (SDG&E) on competitive customer rates and reliability of electric transmission and distribution systems due to the growth in distributed and local power generation and from possible departing retail load resulting from customers transferring to Direct Access and Community Choice Aggregation or other forms of distributed and local power generation and the potential risk of nonrecovery for stranded assets and contractual obligations; Oncor Electric Delivery Company LLC’s (Oncor) ability to eliminate or reduce its quarterly dividends due to regulatory capital requirements and other regulatory and governance commitments, including the determination by a majority of Oncor’s independent directors or a minority member director to retain such amounts to meet future requirements; and other uncertainties, some of which may be difficult to predict and are beyond our control. We caution you not to rely unduly on any forward-looking statements. You should review and consider carefully the risks, uncertainties and other factors that affect our business as described herein and in other reports that we file with the Securities and Exchange Commission. © 2019 Sempra Energy. All trademarks belong to their respective owners. All rights reserved.